Volatility isn’t rescuing listed money managers: most had fresh asset outflows in the first quarter. Yet the industry’s high margins, a clamp on expenses and growth in areas like so-called target-date funds kept profit flowing. The sector’s erosion is mercifully glacial. 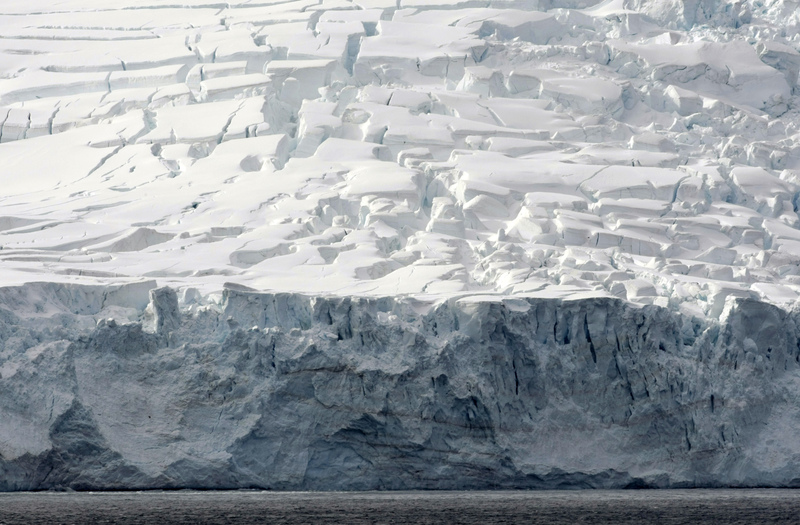 Glaciers of Livingston Island are pictured in the Antarctica continent November 25, 2008. AllianceBernstein on April 26 reported that revenue increased 13.4 percent in the first quarter from the same period of 2017, to $868 million. Earnings increased 32.5 percent, to $58.3 million or 60 cents a share. The company had net asset outflows of $2.4 billion in the period, and assets under management stood at $550 billion at March 31, down from $555 billion at the end of December. Invesco on April 26 reported that operating revenue increased 13.7 percent in the first quarter from the same period a year earlier, to $1.4 billion. Earnings increased 20 percent to $254 million or 62 cents a share. The firm had around $300 million of net long-term flows into its funds in the period. Assets under management were $934 billion at the end of March, down from $938 billion at the end of December. Franklin Resources on April 26 reported that revenue increased 1 percent in the quarter ended March 31 from the same period a year earlier, to $1.6 billion. Earnings increased 5 percent to $443 million or 78 cents a share. The parent of Franklin Templeton Investments had net outflows of $10 billion from its funds in the period, leaving assets under management at $738 billion, down from $754 billion at the end of December.